See You On the Other Side: The Top Tips for Shipping a Car Overseas - Muscle Cars Zone! Do you have a car that you need to send across the pond? If so, read on to learn the top tips for shipping a car overseas. The vehicle shipping industry is currently valued at around $12 billion, and it`s estimated to grow over the next few years. This shows that more and more people are opting to buy cars overseas. But after purchasing a car overseas, how do you get it home? 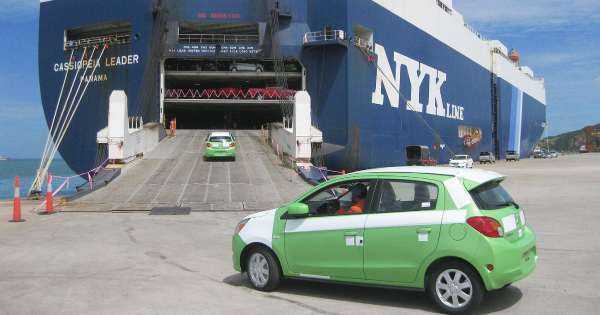 Shipping a car overseas is not only expensive and time-consuming, but also comes with a lot of risks, including lost cargo and increased insurance premiums. Fortunately, with the right information, the process can be less daunting and less risky. Here`s how to go about it. The first step towards a successful overseas shipping experience is shopping for a reliable shipping company. Most international shipping companies can be found through a simple online search. Ideally, you can also opt to visit their physical offices just be certain you`re dealing with legitimate companies. Additionally, consider the type of shipping services offered. You wouldn`t want to work with a company that mostly ships cars from Sweden if you`re shipping cars to Hawaii. No matter the method you choose, be sure to ask if the company is licensed by the relevant regulatory bodies. A good shipping company should be willing to show you their license and registration number. Depending on the international shipping rates offered by the various companies, choose one that falls within your budget range. It’s important to note that your car’s size, destination, and mode of transportation determine the shipping rates. You may have to pay more if you`re looking for convenience. For instance, if you want to ship an exotic classic car, the best option would be shipping it by air freight. This not only ensures the car gets to you safely but is also quicker compared to shipping by sea. Unfortunately, in the freight and transport business, safety can`t be guaranteed. In addition to the insurance policy provided by the shipping company, it`s recommended to buy an additional policy on your own. This ensures your car is adequately covered since most of the provided policies only protect your car from damages – and not a total loss. Overseas shipping involves a lot of paperwork from start to finish. If your shipping company doesn’t offer custom broker services, you’ll need to hire one to help you get your car through customs swiftly. To ease the process, make sure you also have the original car ownership certificate, a shipper export declaration form, and a bill of sale. In most cases, shipping a car overseas means going through numerous ports. For instance, shipping a car into the country from Zealand involves several stops, which may cause delays. As such, it`s recommended to regularly communicate with your car transport company to know the status of your cargo. If you’re shipping a car overseas, the tips above should help you glide through the process. However, make sure your car meets the safety standards. For more insightful car articles, check out our news category.